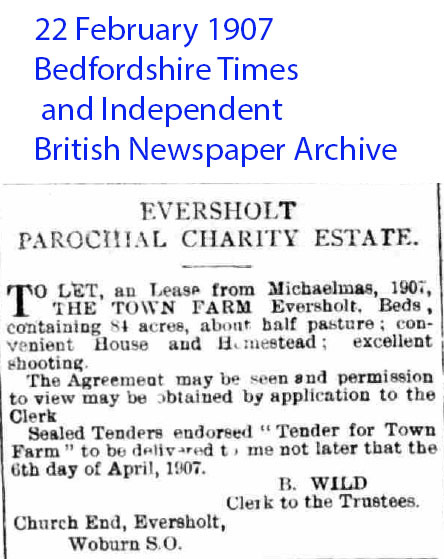 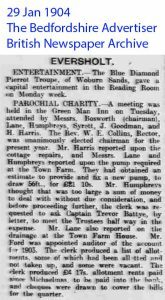 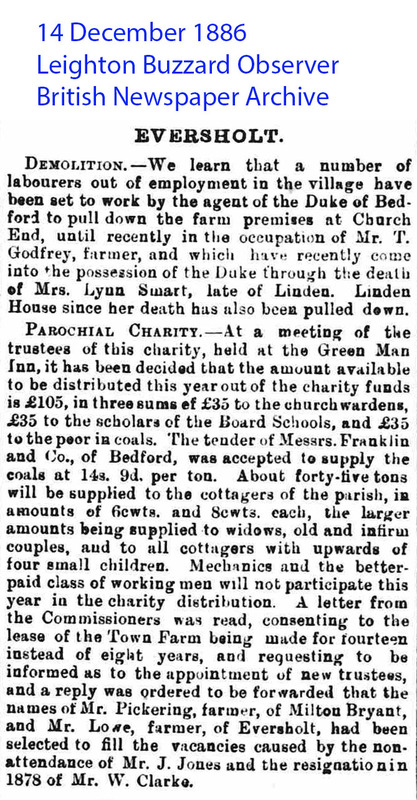 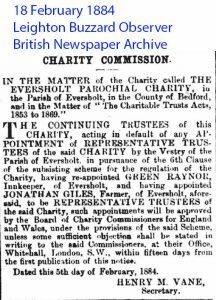 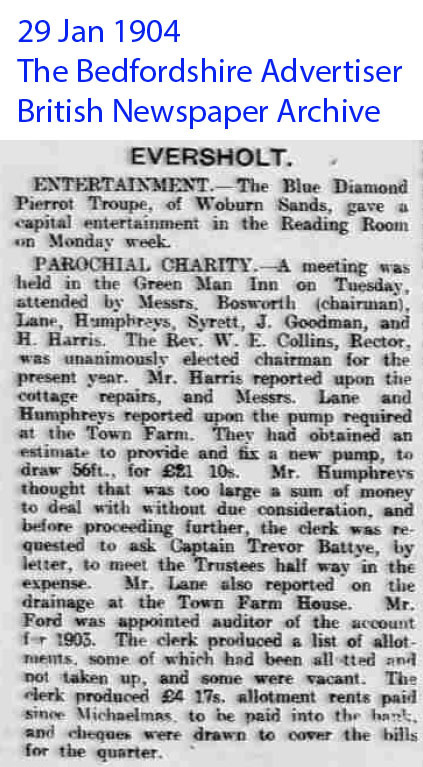 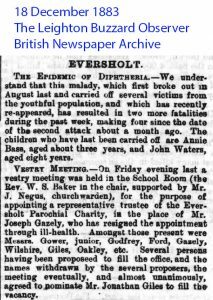 These cuttings are from various newspapers reporting the meetings of the Eversholt Charity, which were held in public. 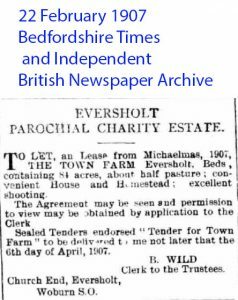 This page is a placeholder. 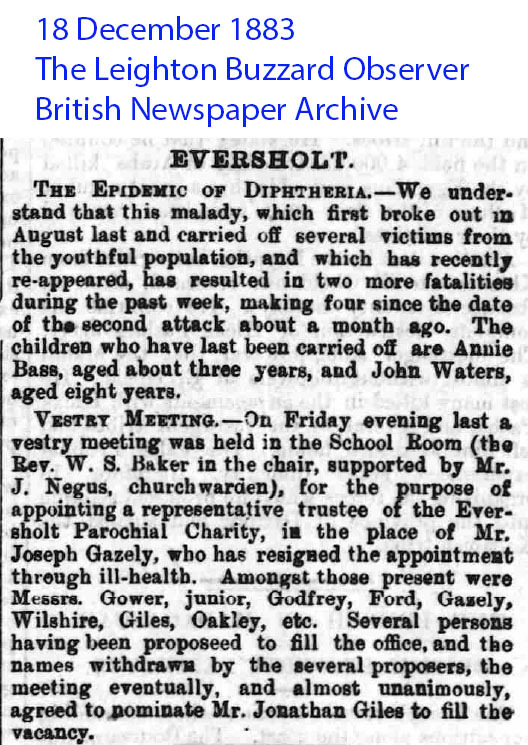 A better organisation is needed. 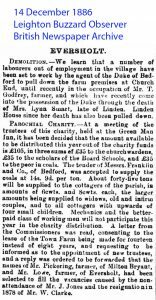 Click for bigger versions.